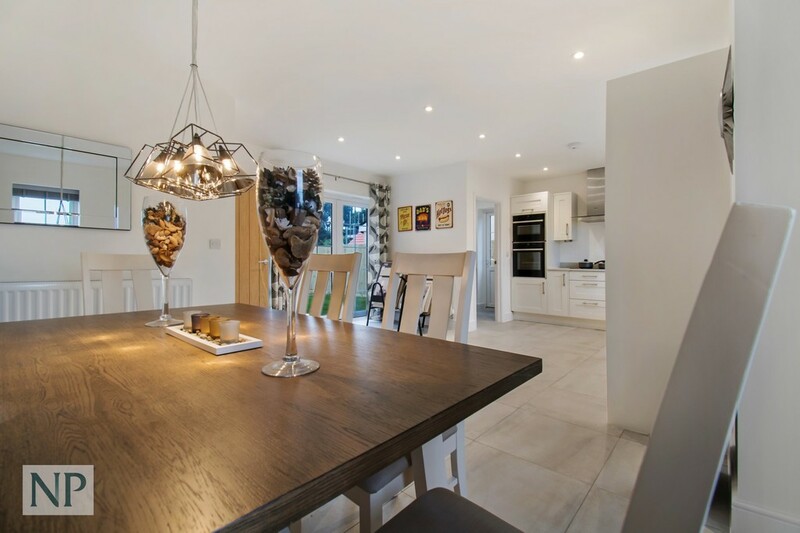 SHOW HOME NOW OPEN SATURDAYS & SUNDAYS 10AM-3PM & WEEK DAYS BY APPOINTMENT. 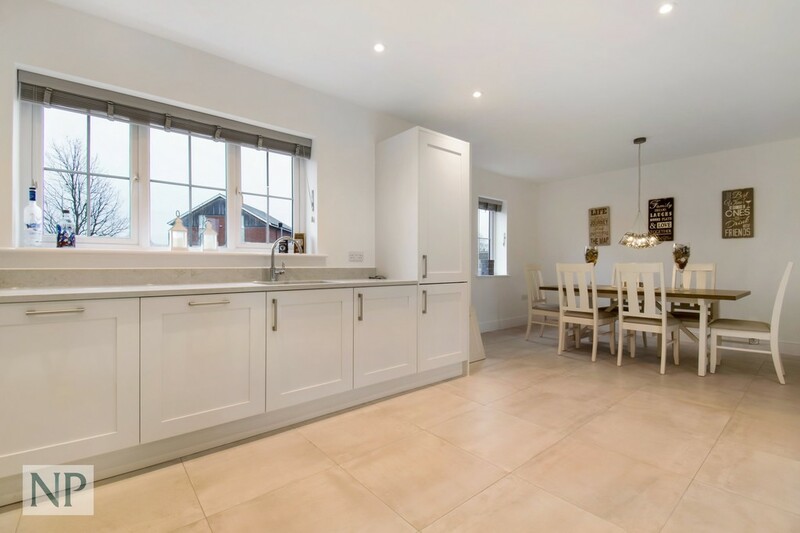 This is an exciting opportunity to own a high-quality brand new home, well-positioned in one of the most desirable village locations in the Colchester area. 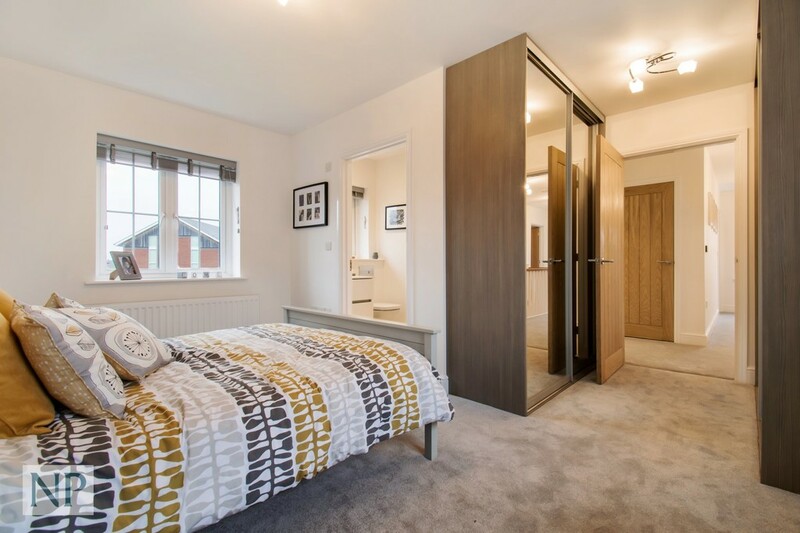 2 Bedrooms plus Study / Nursery. 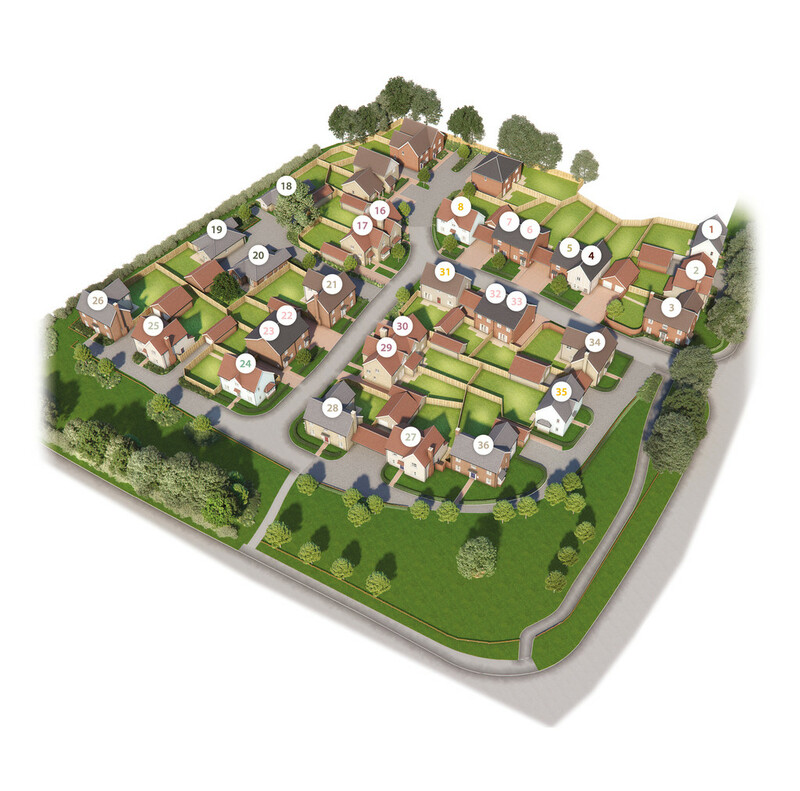 Nestled amongst some of the most wonderful parts of the North Essex countryside, yet close to an array of main travel routes and the bustling, historic town of Colchester, this beautifully-planned collection of character filled new homes will offer the very best of all worlds. Welcome to Boxted Cross. 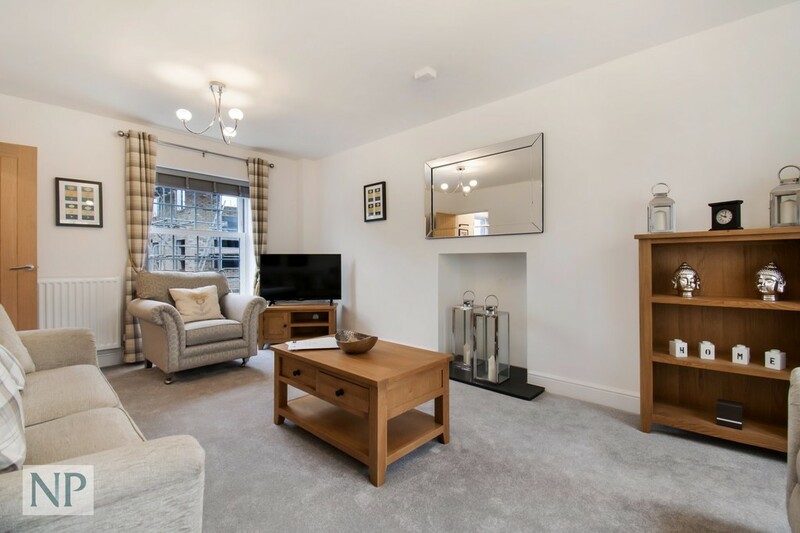 Located close to the idyllic Dedham Vale, the sough-after village of Boxted is just minutes away from the A12 and A134, offering residents easy connections to all local business, leisure and shopping opportunities as well as bringing the regional hubs of Ipswich, Chelmsford and the vibrant city of London within easy reach. 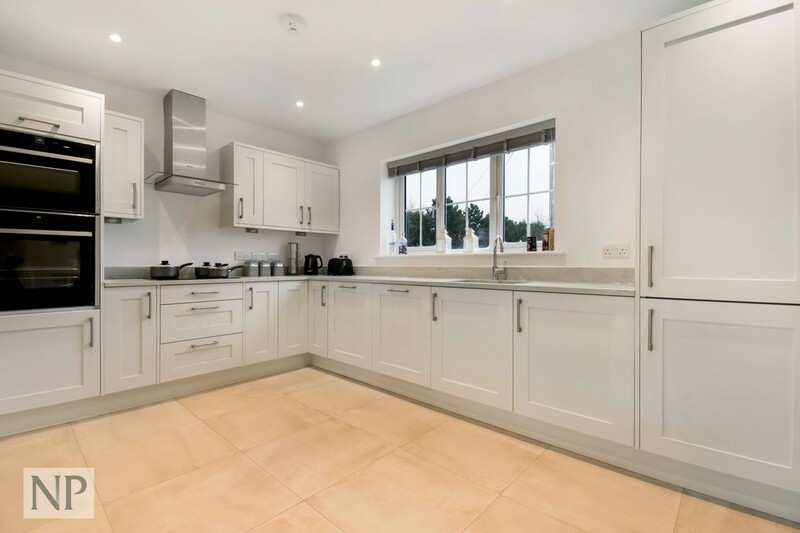 Whether buying for the first time, looking for a rural escape with good connections for your daily commute, seeking a peaceful spot for your growing family or looking to downsize - you'll find a home to love at Boxted Cross. The Help to Buy equity loan scheme is available under this development. 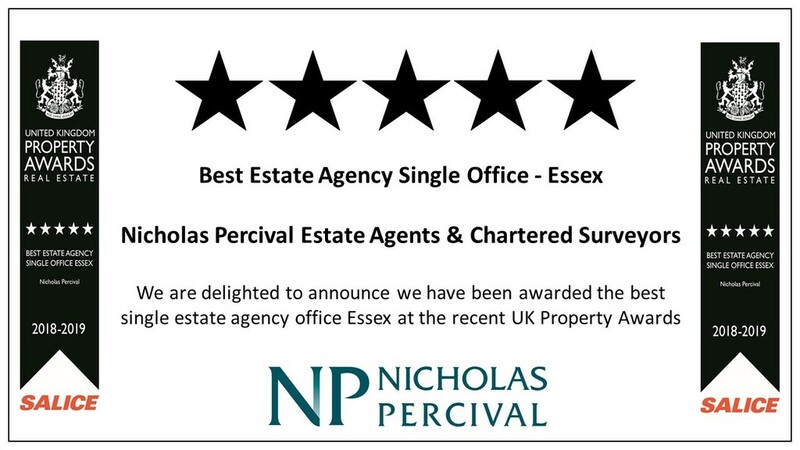 Please speak to a representative of Nicholas Percival for further information. A service charge of approximately £185* per annum will apply per household. 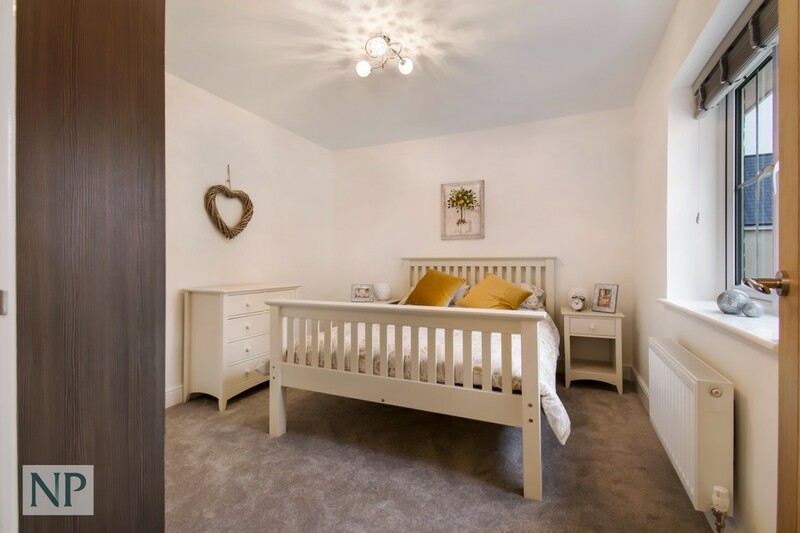 THE SHELLEY Perfect for young families; this neatly-designed home features a light, airy open-plan kitchen/dining and family space that spans the house from front to back, fitted with quality appliances and glazed double doors opening out onto a freshly-planted rear garden. 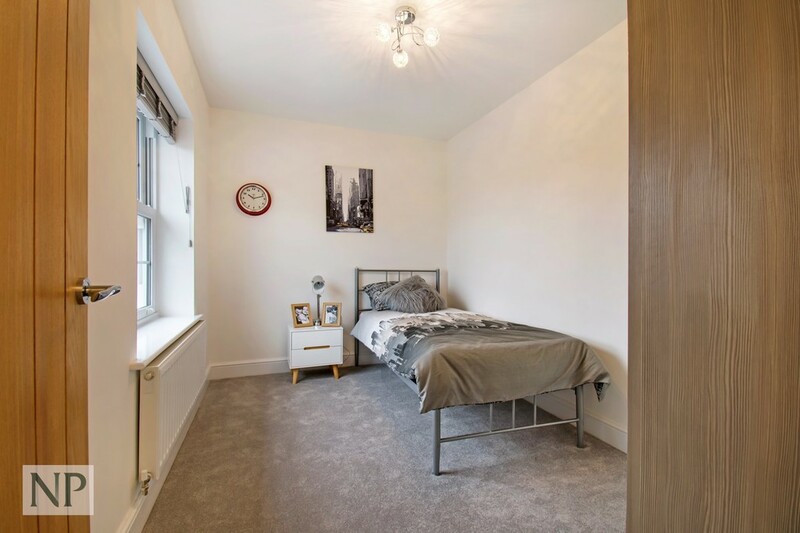 On the first floor, you'll find a master bedroom with an en-suite shower room, a single bedroom to the rear and a third room which would be ideal as a nursery, study or home office. The well-planned family bathroom is complemented by the latest contemporary fittings and fixtures. 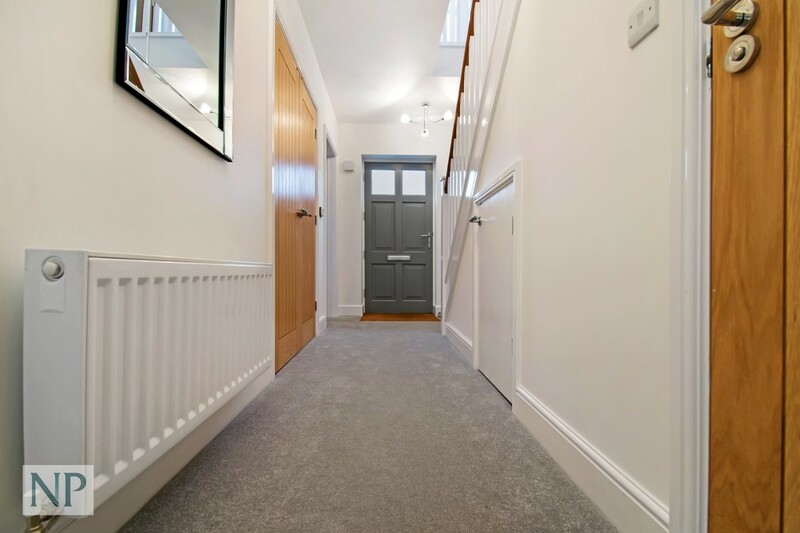 SPECIFICATION Every dwelling within the Boxted Cross development will be constructed to the extremely high-standards and care that Lynton Homes are renowned for and the outstanding specification speaks for itself.  Fully appointed kitchens with a choice of styles, ranges, colours, appliances and lighting. 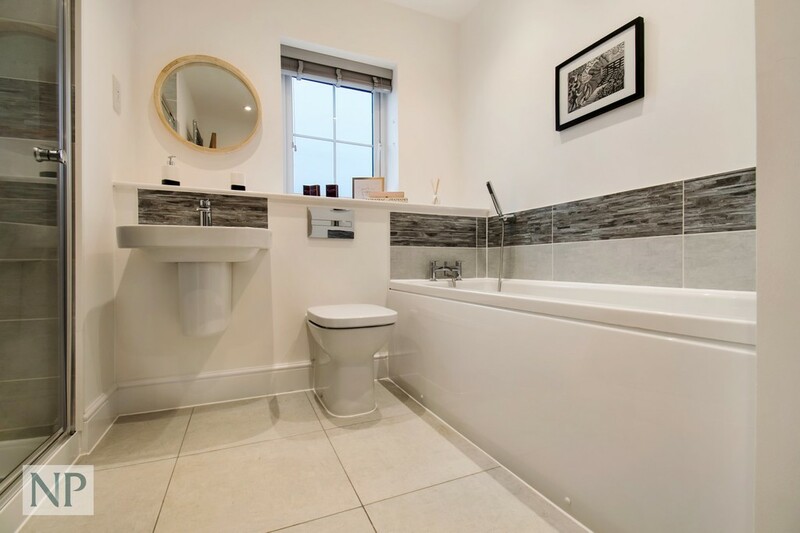  All bathrooms and en-suites fitted with high quality sanitaryware, taps and fittings.  Recessed downlights in kitchens, bathrooms and en-suites.  Heating via Airsource Heat Pumps - these will power wall mounted thermostatic controlled radiators.  Front gardens turfed upon completion along with appropriate landscaping.  10 year Premier Guarantee. SITUATION Colchester town centre, just under six miles away, is a vibrant destination where you'll find an array of high street chains, household brands and numerous independent boutiques lining its historic streets, squares and walks - as well as larger upmarket shops like the stunning Fenwick department store and traditional street markets. There are also multiple options for eating out to suit all tastes from an eclectic mixture of well known franchises, through to a variety of small and quirky coffee shops, excellent family run restaurants of all nationalities, and fine dining eateries in venues that date back hundreds of years. North Colchester is also home to a wide variety of sports and leisure opportunities, with the popular David Lloyd health club easily reachable and offering cutting-edge equipment and group exercise classes - alongside indoor and outdoor pools, all weather tennis courts and spa facilities. Outdoor enthusiasts might enjoy the sessions at Colchester Rugby Club or Colchester Golf Club, while those interested in alternative sports could visit Alton Water reservoir, just over the Suffolk border, where they'll find water activities, cycling trails, a modern visitor centre, coffee shop and restaurant. 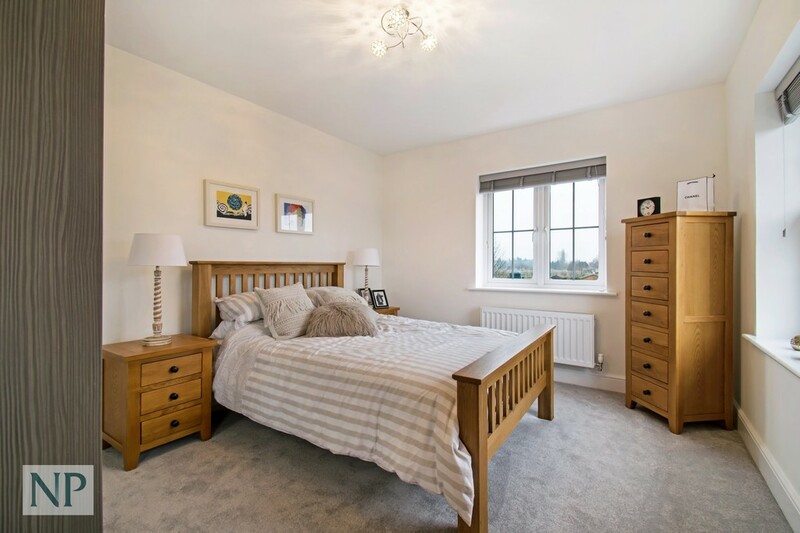 Residents with young children will be pleased to note the homes at Boxted Cross are positioned directly opposite the entrance to the modern St. Peter's Church of England Primary School ( recently rated 'good' by Ofsted), and close to a selection of other superb nearby schools. 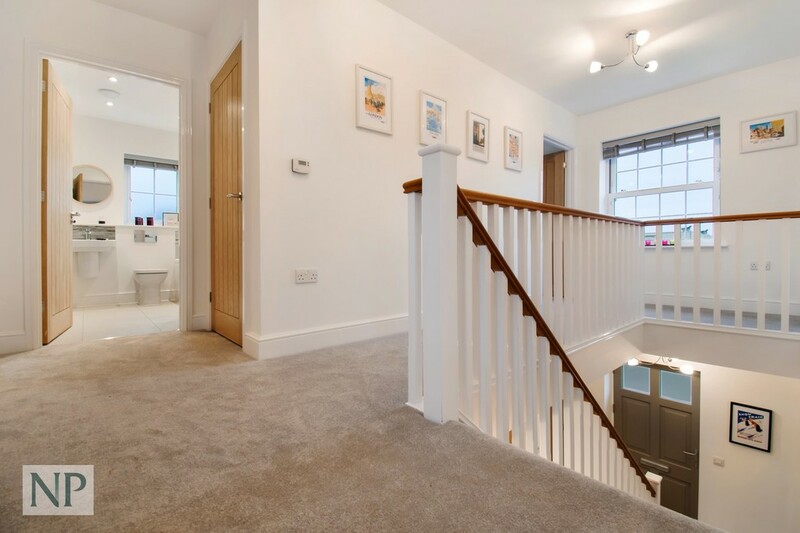 The highly praised independent Littlegarth School, for children from pre-school to year 6, is within easy reach and Little Owls Pre-school in the village caters for nursery age children. As you'd expect in a village community, Boxted Cross is host to cricket and football pitches in St. George's Field behind the village hall, where the Colchester Town Ladies and Girls Football Club regularly train and play. Families with older children will be pleased to find a wide range of highly respected schools in the Colchester area, including Colchester Grammar School, Colchester County High School For Girls and the Gilberd School. Further educational needs are also catered for at the Colchester Institute, Colchester Sixth Form College and of course the University of Essex's main campus. For those heading in the other direction, Ipswich is also home to some extremely well performing schools such as the Ipswich School - a very highly regarded independent school for children aged 3-18 years.